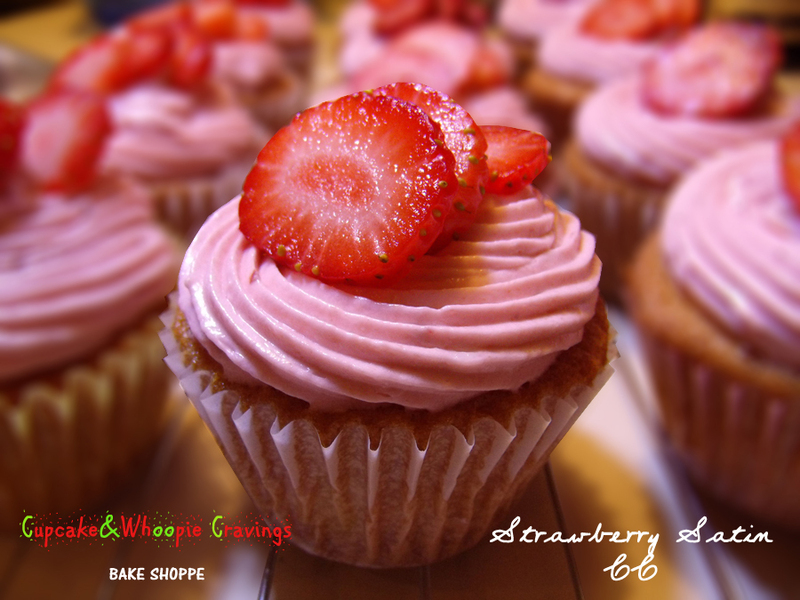 Cupcake & Whoopie Cravings is an online, home based bake shop in Philadelphia PA. They bake gourmet Cupcakes and Whoopie Pies for all occasions. Beautifully decorated, and fantastic flavors using only the best and freshest ingredients. They can deliver to Phily, Delaware and New Jersey, when you allow at least 7 days to organize delivery times. Whoopie Pies are individually wrapped and they can be mailed. I am not in the current delivery zone and they are looking to expand their reach a bit. I was excited that Ang wanted to work with my blog and promote her delectable goods! Angela has got to be one of the sweetest and most creative gals in the baking world. She attempted to ship her beautiful cupcakes and whoppie pies from PA to KY, mid summer. With dry ice and detailed mailing instruction we were hopeful that they would arrive as gorgeous as they left her shop. They didn't, by no fault of her own. She had them packed to perfection and they should have arrived in perhaps a bit melted, but not shaken, rattled and rolled state.. but that would be a review for the carrier, not for Ang!! She kindly gave me photos of what they should have looked like. Fortunately for me, their taste isn't determined by their visual beauty, and believe me these were wonderful tasting treats! Butterfinger Crunchies was similar to a spice cake to me. It was buttery flavored, but some nice hints of spice as well. One thing I loved about these cupcakes is that they did not crumble. Ever eat a cupcake and after one bite you are holding the rest in pieces in your hand. Not at all with these, even with the horrible travel they endured. Crema Churros was one of the favorites I tasted! Biting into the center and getting a creamy, sugar and cinnamon filling was wonderful. An upgraded snickerdoodle, this cupcake withstood the test and tasted wonderful! Lemon Sunshine was one I wished I could have tasted the frosting of more. It had just the right hint of lemon in the cupcake, not an overwhelming, false lemon flavor but the real zest you look for. Again this cupcake held up so wonderfully in between bites and didn't split apart and break. Peanut Butter and Banana, not a taste I would think of putting together, though I have heard of people having sandwiches like that. After this tasted cupcake I can see why they do that!! It was like a banana bread with peanut butter lightly mixed in. Very tasty choice. Punky Punkin' is perfect for this fall. A nice simple cupcake, with just a dab of frosting on top, it reminds me of fall and the love of cooking. It was moist, and flavorful. Strawberry Satin was again a consistent cupcake with great strawberry flavor. Another that I would have enjoyed the frosting on and the slices of fresh strawberry. 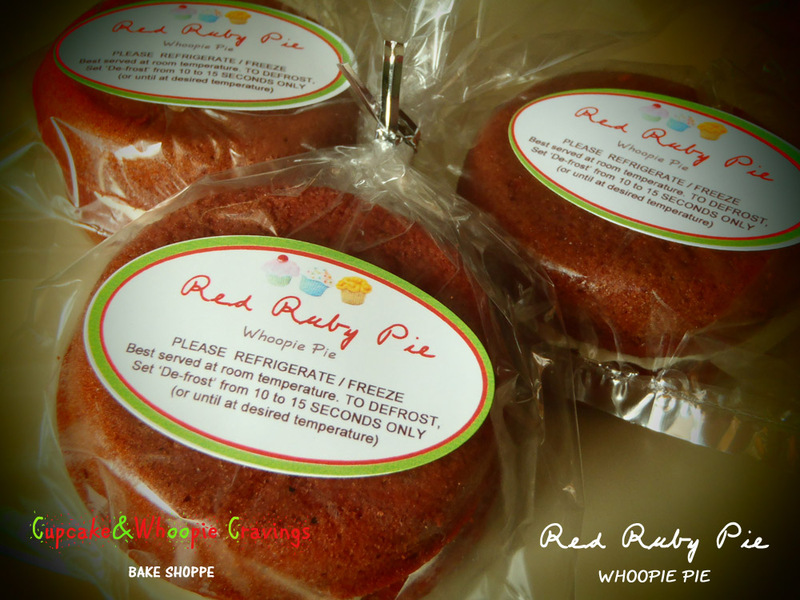 The Red Ruby Whoopie Pie and Mini Whoopie pies made it safely to KY. These were so light and fluffy, with a great whipped style middle. My stepmom used to make whoopie pies for us and I have fond memories of them. Red velvet cupcake was so tasty! Now these the kids were able to share in and they wanted more!! Super tasty, approved by the 4 and 7 year old who helped me taste test! I did manage to get a couple photos of the Red Ruby Pie prior to the children eating them all!! They enjoyed them and I was so glad! These had a perfect blend of moisture. Not too much that they squished in your hands, but enough they did not crumble. You seriously need to check out the photo gallery on their website to see more of these delicious treats! I sure wish I lived closer with my Birthday coming up the end of the month, some of those pictures make my mouth just water!! 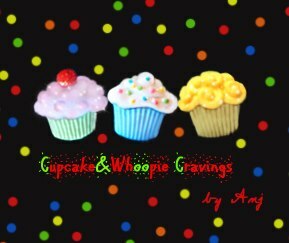 Cupcake & Whoopie Pie Cravings is kindly offering my readers a set of tumblers to spread the word about their great shop! If you live in the area be sure to give them a call on your next special occassion, or need for a sweet treat. They do bake to order so plan your next sugar attack accordingly! I just want to thank Ang for her time and effort to allow me the privilege to review for her!! She is just a super sweet gal!! Be sure to stop by her FB page and give her a thumbs up and while you are there send a bit of love to her on her wall!! Let's get her FB page full of Jubilee Review fans! Enter to win these 2 tumblers from Cupcake & Whoopie Cravings!! US only. Ends Sept 20th. I would also like to try the red ruby whoopie pie!!!! I like the Brownie-Fudge Pie. I would love the Brownie Fudge Pie. I think I would love to try the Brownie Fudge Pie! The Punky Punkin' Cupcake look soooooo good!!! But then all of it looked good!! any of the whoopie pies i would love to have!! The pumpkin shaped cream pies look amazing! The Pumpkin Creme Pies look delicious. Thanks. The "punkin" cream pies...wow!! The leaf shaped ones are gorgeous! I can honestly say I have never made or eaten a whoppie pie so the red velvet makes my mouth water. Congratulations to our Travel Tumbler winner, Jamie T...email us your contact/delivery partyiculars to claim your prize. Thanks very much for everyone who joined!